God is For Us. That and More. God is for us. This truth sometimes hovers just on the periphery of our vision so that we don’t fully grasp what this means. The circumstances or distractions of life obscure the brightness of this truth. But lift your eyes up. Gaze thoughtfully and intently into eternity for a moment and see if you can catch a glimpse of the life that God has called us to. An eternal glorious life, bright and powerful enough to make every earthly delight or desire pale in comparison. There is no defeat in God’s kingdom either, since everything, even every horrible wretched thing from hell, cannot stand against God’s glorious power at work in us and for us. Have you noticed? There is a pattern in the way that God works. God excels at defeating the odds. He excels at turning certain defeat into powerful victory. Joseph, Moses, David, Gideon, you, me, and…Jesus! The ultimate horrific sorrowful death on a cross that left his followers discouraged, decimated, and defeated. Jesus risen from the dead! Death conquered. Christ victorious over our most powerful enemy, which is death and separation from God. There is a powerful truth to be embraced. This truth is solid and true and is a strength to us when we need it most. And that truth is that God is for us. He is on our side. The power of his love for us, although beyond human comprehension, can be seen in the death and resurrection of Jesus Christ. Is it really possible that there is even more? How much more? More than we can know or imagine. Stop here for a moment and ask yourself why you limit God to work only within the bounds of your imagination or understanding. I mean, who could have imagined Christ? Who could have imagined a cross? Do you feel defeated? Backed into a corner? At the end of your rope, your ability, and your possibilities. Then remember this. This is where God shines! Here is where God meets you and reveals himself as Rescuer, Redeemer, Restorer, Life Giver, Light Shiner, Glorify-er. Do you feel passionless, loveless, and proud. Then remember this. There is a different reality than the one that you have been embracing. Are you hurried, worried, anxious, and afraid? Then remember this. There is today. Tomorrow is hidden in the safe place of God’s loving wisdom and understanding. Our weakness, His strength. Our hopelessness, covered over by hope in Him. Death swallowed by victory. Our future hidden and very secure in Him. Receive faith and be restored. 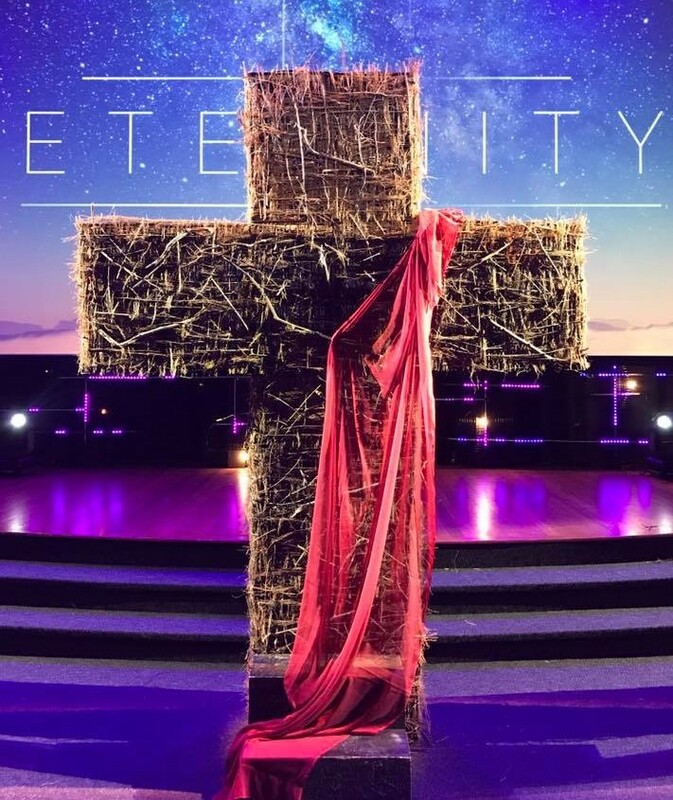 The cross of Christ is our invitation. The cross invites us to enter into the death of Christ by dying to our rebellious silly selfish selves. The Resurrection invites us to enter into the life of Christ and receive all the real treasures of life and truth and the way to experience God with us – and that God is for us. Annointed words here that pierced the core of my soul!! What a gift you offer in reminding of the absolute mercy and power of God that transcends all struggles, told in the grand, overarching theme of the Bible we too often forget! God is faithful and omnipotent, nothing, nothing can get in the way of the unwavering love of God! Your words are so beautiful, and rich and real and full of the spirit! Kathy, I am thankful for you because in this wide web world it is difficult to connect in a true and honest way with others, even other believers, but you have a gift for it. Your words from your website blog, and your generous responses to others (including me) have always inspired and encouraged. You remind me of the power of well spoken words. Blessings to you. Thank you for visiting my site.